Element Materials Technology has announced that it will be taking part in the Hydrogen – Optimization of Storage and Transfer (HOST) project in the United Kingdom. The project is partly funded by the Technology Strategy Board, which has been showing strong support for hydrogen fuel cells in recent years. The HOST project is meant to find effective storage and delivery solutions for hydrogen fuel. These storage and delivery solutions are needed for fuel cells to continue gaining prominence as primary energy systems. Element will be working to develop a thermoplastic composite hydrogen storage vessel for the project. This storage solutions is meant to be more durable and efficient than conventional storage technologies. This endeavor is expected to take approximately two years of research and development effort. The storage solution designed by Element could be put to use in a variety of sectors, including transportation. Effective storage solutions are in high demand within the auto industry, where hydrogen fuel cells are becoming more common. Many of the world’s leading automakers have plans to release fuel cell vehicles in the coming years. These vehicles will be equipped with storage tanks that have been developed by these automakers, but better storage tanks may be needed in order for future fuel cell vehicles to find success. 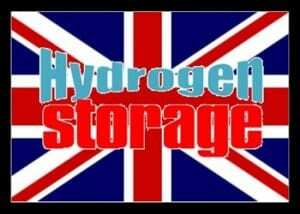 Element has taken part in hydrogen storage projects before. The company was part of the Durastor project, which aimed to develop a monolithic storage solution using a thermoplastic liner and filament wound composite outer layer. Element will play a role in testing the materials that are developed by other organizations participating in the HOST project as well, offering insight into the viability of these materials and how they can be used for hydrogen fuel storage.